Fantastic old vintage Turkoman Ersari main rug in excellent overall condition. (Waves in 4th photo are just from folding and will disappear quickly once used on floor.) Displays the fantastic Tauk- Nuska Gul medallions! (First and last photos.) 100% natural wool. Out of my personal collection but I’ve never had any place to put it! Afghanistan or Turkmenistan origin. These are very hard to find in this condition. 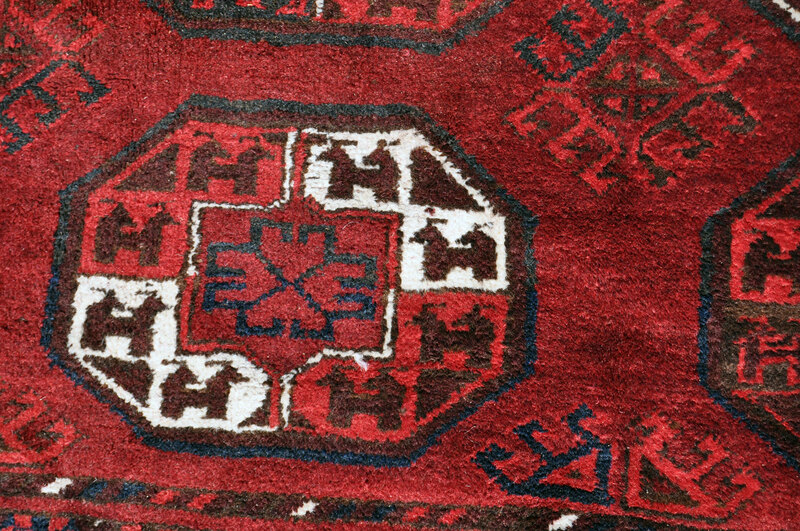 Turkoman rugs are typically woven from 100% pure wool. 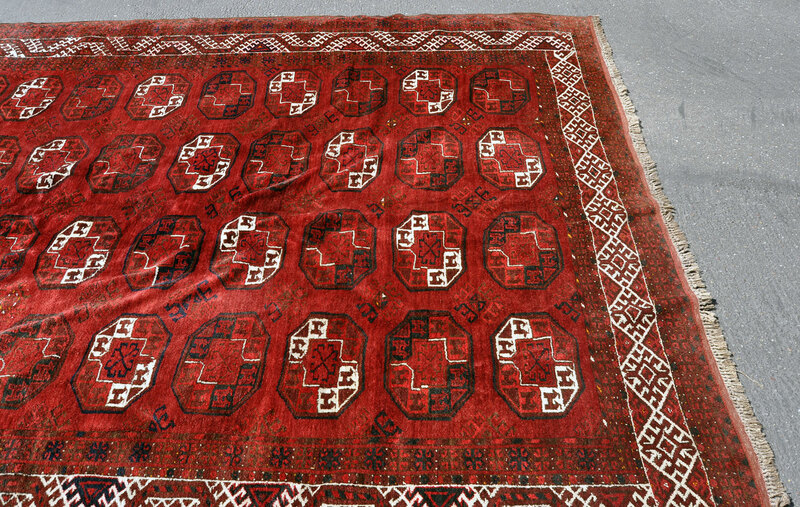 They are a nomadic rug made by tribes in Turkmenistan, Uzbekistan, Afghanistan, and northeastern Iran. These tribes include the Salor, Saryk, Tekke, Youmut, Arabchi, Chodor, and Ersari tribes. 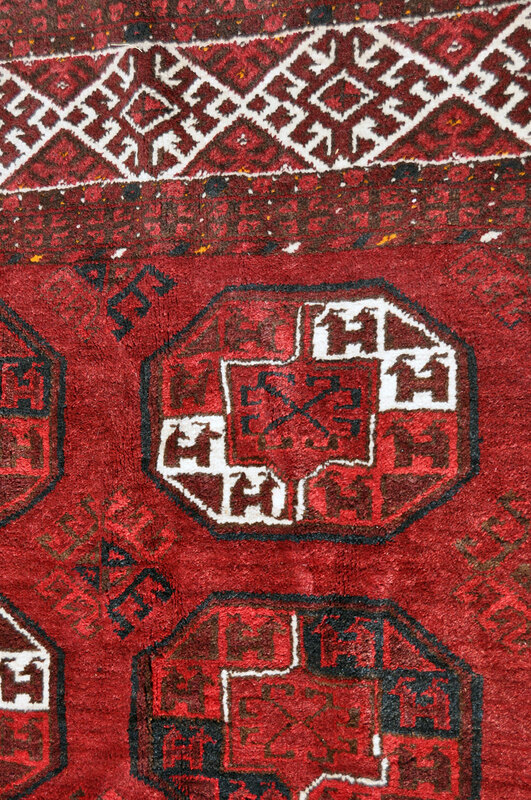 These rugs tend to have a background that is red or redish-brown in color, and the motif is usually geometric.